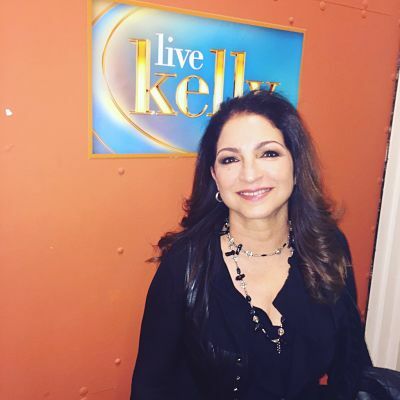 Pop legend Gloria Estefan can perform at your event! As a booking agent for Gloria Estefan, we can arrange for her to sing to your guests. For over twenty years, Gloria Estefan has been a mainstay in both the Latin and pop music worlds. Her start came courtesy of her husband, Emilio Estefan, who was fronting The Latin Boys. Emilio asked Gloria to join as the lead singer, and later to join him as his wife. She accepted both offers! The group became Miami Sound Machine and by the ’80s, they were known for their top-selling, chart-topping albums like ‘Cuts Both Ways’, and ‘Let It Loose’ and a string of hit singles, including, “1-2-3-4,” “Anything For You,” and “Rhythm Is Going to Get You.” After gaining little recognition in North America, their single ‘Dr. Beat’ went to the top of the European Dance Charts. Their famed song “Conga” was the first one to crack numerous Billboard charts including Latin, Pop and Dance. Overall, Gloria Estefan’s illustrious career has included recording the official theme for the 1996 Summer Olympics, three Grammy Awards, one Latin Grammy Award, an Oscar nomination for the title song for the movie “Music Of The Heart.” With over 70 million in worldwide record sales, Gloria Estefan is the most successful Latin crossover artist in the history of pop music. In 2015 she received the Presidential Medal of Freedom for her contributions to American Music and released ‘Sor Mujer’ an album of her greatest Spanish-language hits. In 2017, Gloria Estefan was named as the first Cuba-American to be awarded one of the Kennedy Center Honors. As a booking agent for Gloria Estefan we can organise for her to perform at your event. To hire Gloria Estefan call Contraband Events as we can make it happen. We are booking agents for a huge selection of famous musicians to hire, and we can recommend the best artists for your entertainment. Gloria Estefan can be booked to play at your private or corporate event through Contraband International. Make us your preferred booking agent.